All smart marketers use landing pages. If you’re consistently blogging, growing your blog traffic, and using blogging tools like Wordable to increase your efficiency, the next real step is to look into your approach to conversion optimization. How do you surface content offers? How do you collect information? The landing page is usually key here. Landing pages can be tricky though, especially if you work at a large company, or a company that prefers custom development work. In these cases, it can be tough for bloggers and content marketers to step in and actually set up landing pages without the help of IT. Luckily, that’s largely an issue of the past, though, thanks to tons of easy to use tools with WYSIWYG editors. Plenty of them are also specifically made for WordPress, which further reduces the technical burden. Here are some of our favorite landing page and lead capture plugins! While you could probably do some custom development work to set up templated WordPress pages, it might be easier to just use a software plugin to get the job done. This list includes many popular landing page plugins, in no particular order, and a brief description of the tool. Unbounce is one of my favorite marketing software products. It’s a landing page building primarily, but they also give other lead capture tools like popups and sticky banners. It’s one of the easier editors to use. That’s a big plus. It’s also widely used, so there’s a good community of experts if you ever need help, as well as great support from the company itself. The only downside I’ve really run across is that it can take a lot of time and effort to do custom integrations. They do have some native integrations, such as with Mailchimp and HubSpot, but other take a long time to set up. Their A/B testing feature also feels a bit elementary, but it’s great they make it so easy to run tests. All in all, super easy to get started and get up and running. It’s a great tool especially if you have to make tons and tons of landing pages, and also if you like to run experiments on them. “If I had to recommend one landing page plugin, I’d say it’s the Elementor page builder. The free version has all the building blocks you need to create a landing page, the design controls are second-to-none, and it has a built-in “canvas” template that lets you build a 100% unique landing page without your theme’s header/footer. The only thing it’s missing is A/B testing, but you can get that by stacking it with Google Optimize. Elementor is definitely one of the most popular page builder plugins for WordPress, with 1+ million active installations. So if you try this one out, you’re in good company. Pricing starts at $49 a month and includes a 30 day money back guarantee. Beaver Builder is an easy-to-use and popular page builder used by some big names in the space, including WPEngine and GoDaddy. It will plug right into your existing WordPress site, and everything is as easy as dragging and dropping elements onto the page. You don’t need any technical skills to build a good looking landing page with Beaver Builder. It also includes ready-to-go templates to help you get started and up and running quickly. Additionally, they have tools to help you set up headers, footers, and blog layouts. Pricing starts at $99 a month and goes up from there. I don’t believe they have any freemium offers. Divi is another super popular and often recommended landing page builder for WordPress websites. It is simple to start using, affordable, and pretty flexible in terms of how it allows you to design and setup pages. This one is pretty all encompassing, meaning you can get started with little-to-no technical knowledge, and it includes plenty of pre-made templates to inspire you or let you start with something functional. However, if you do have some CSS chops, you can customize your designs heavily. Divi is part of Elegant Themes, so pricing also includes other tools like themes and plugins. Yearly access is only $89 per year. Leadpages isn’t specific to the WordPress space, but it has made an easy to use WordPress plugin to get set up quickly. Leadpages is more of a full-suite lead capture product. They don’t just make landing pages (as is aptly noted by their homepage headline, “more than just a landing page builder”) – you can also use it to create popups and to A/B test your campaigns. They start at $37 monthly ($17 if you pay for 2 years in advance). While it integrates with many common email marketing tools like Mailchimp and Constant Contact, it does lack integrations with more holistic marketing automation tools, such as HubSpot, SalesForce, Marketo, Intercom, etc. Have any upcoming products, webinars, or services you’d like to get in front of your audience in advance of launch? Sure, you could use any landing page tool for that. But with many solutions, you’ll need a bit of a ramp up period in terms of learning how to use the tool and design things. An easier solution may be to use Coming Soon Pro. It’s specifically made for these types of pre-launch campaigns. The company, SeedProd, does include many other features, though, including common things like Contact Forms and lead capture forms. Pricing starts at $29 per year, which makes this one of the most affordable solutions on the market. The landing page tool itself is simple but powerful. It’s another very popular solution, heavily recommended by WordPress power users. 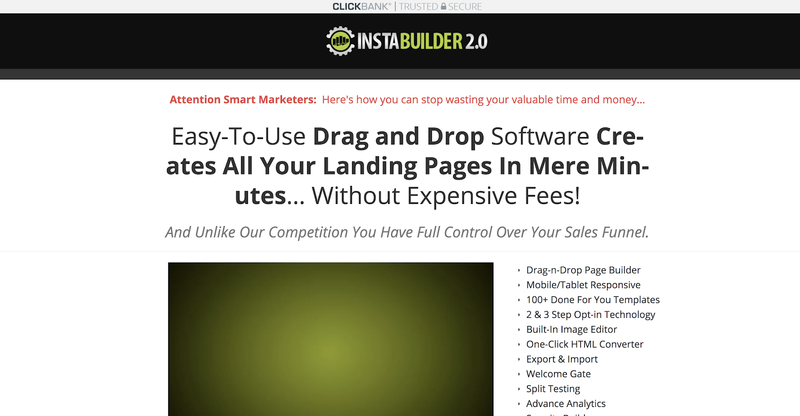 Pricing for just the landing page builder is $67 for one license. You can also buy a membership, which includes full membership and access to the full suite of products, for $19 per month. 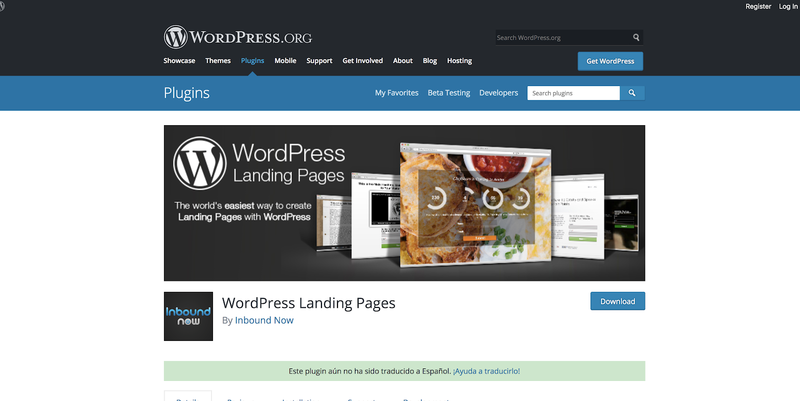 Aptly named, simple, and straightforward, WordPress Landing Pages is a standalone plugin that works with similar plugins from the same company, WordPress Calls to Action and WordPress Leads. It’s an easy to use WYSIWYG editor, and you can also A/B test your landing pages. Reviews are mixed on this one, but it seems like a basic solution that will get the job done. Anyway, it’s got a popup tool as well, but thrives on simplicity: you can make high converting landing pages and publish them quickly. Bonus: pricing is only $19 for a single license. InstaBuilder is another WordPress landing page plugin seemingly designed for info-marketers (is there an info-product that teaches everyone in this space the same design guidelines?). Basically, it’s easy and fun to use. This may sound like no big benefit, but if you’ve used a few landing page builders, you’ll note, with frustration, that they can be a headache to figure out. If you don’t want to spend hours fiddling around to get basic designs right, InstaBuilder might be for you. Pricing is $97 for a single license. Parallax Gravity, the WordPress landing page plugin with the coolest sounding name, isn’t very popular or well reviewed, and it’s not abundantly clear it is still updated and supported. But I put it on this list because it has an interesting name. If you like to go out on a limb, you can try it out, but there are certainly more supported and popular solutions out there. PT Instant is recommended from time to time by marketers I know, but their website is so frustrating and has such a bad user experience that I’m going to avoid reviewing it or posting a screenshot. It does make landing pages, though, and some people seemingly use it. InstaPage is a real company and has a real product, one that is actually pretty powerful and fun to use. 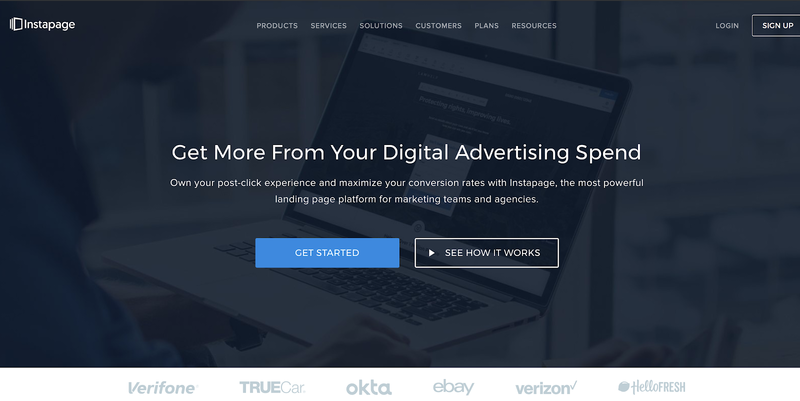 I’ve used it for several campaigns and past clients, and I think it’s comparable to other big landing page builders like Unbounce and Leadpages. Like those products, it isn’t limited to the WordPress space, but does have a convenient plugin. These guys bill themselves on their powerful platform – what you want to accomplish, you can using Instapage. This is, in my experience, mostly true. They also have optimization tools and a workflow solution, which are especially pertinent to bigger teams and those collaborating. Another standout point: they integrate with tons of popular marketing tools. It’s unlikely you’ll have trouble with integrations. Pricing starts at $99 per month when billed annually. Side note: this may be solved, but when I used them in the past, I had a lot of trouble with cancellation. We had to jump through hoops and they made it very hard to do so. I’m not saying that’s still the case, but I do remember it being frustration and pretty bad customer experience. The product was great though. Ultimate Landing Page, is the ultimate landing page builder (mainly in name and because it’s the ultimate, or last, item on this listicle). It appears they primarily work with Mailchimp, so if you use Mailchimp, great! If not, you should probably try another landing page plugin. The amount and variety of WordPress tools out there is stunning. It’s also overwhelming. The same is true of WordPress landing page plugins – I’m sure there are some we’ve missed on this list, and you can feel free to point them out, but at a certain point, you’ve got to curate a bit. And curate we have. This list includes many of the best tools out on the market (and a few that aren’t wonderful). The interesting thing is that there isn’t a single best tool out there for every blogger. It really depend on what you want – ease, power, integrations, etc. You can’t go wrong picking a popular tool like Unbounce or InstaPage, but you may also want some of the features of a suite like Thrive or Elegant Themes. It’s up to you! Hopefully this list will help you make your choice.